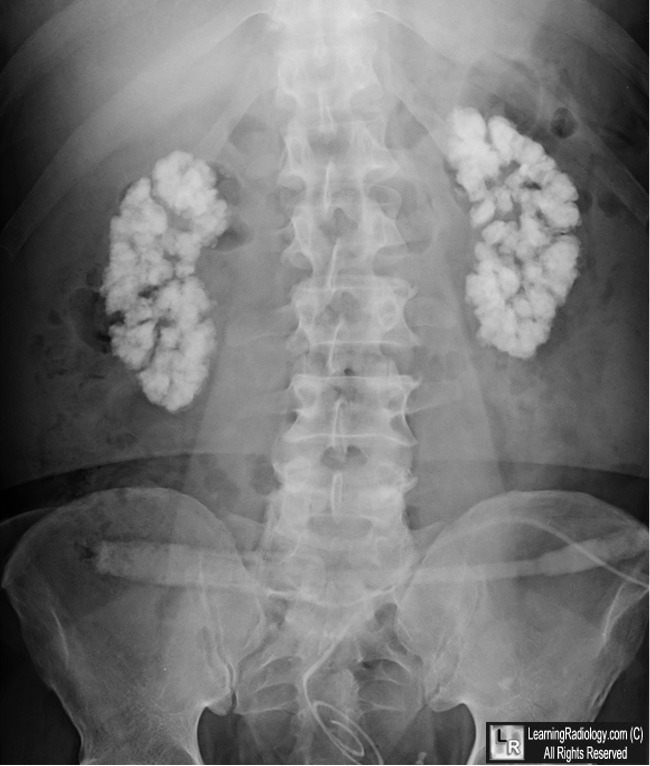 Renal papillary necrosis associated with phenacetin-induced analgesic nephropathy is identified as calcified papillae rather than speckled pattern. 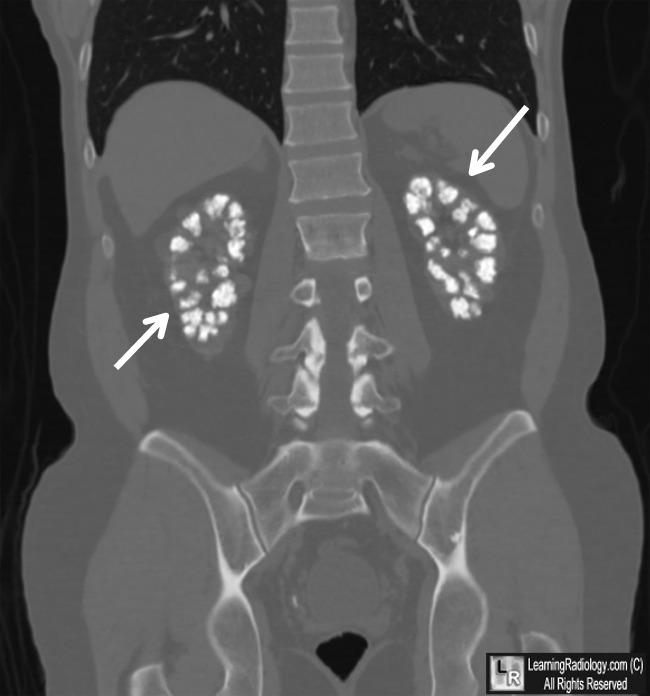 Medullary Nephrocalcinosis. 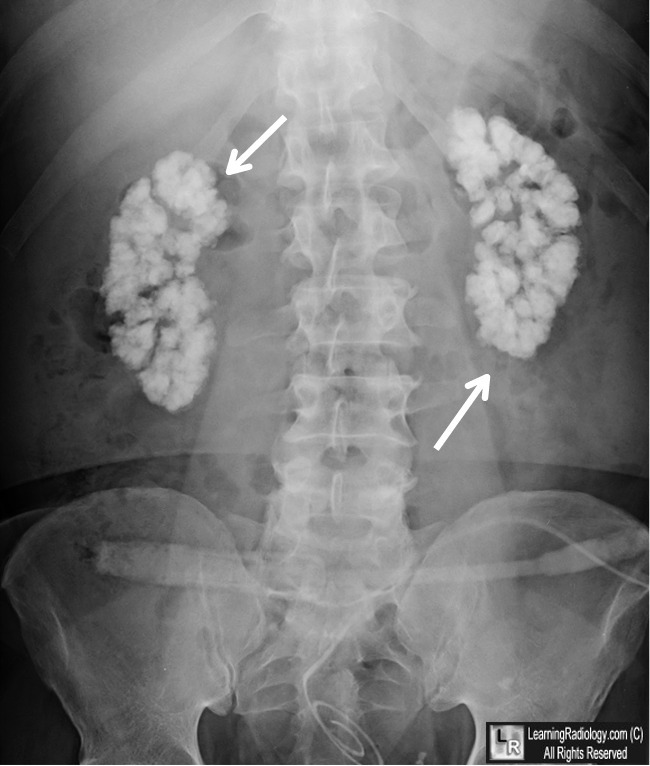 Upper photo of conventional radiograph of abdomen and lower photo of coronal CT scan of abdomen both show amorphous, coarse calcifications throughout both kidneys (white arrows) which correspond the the shape and position of the renal pyramids. 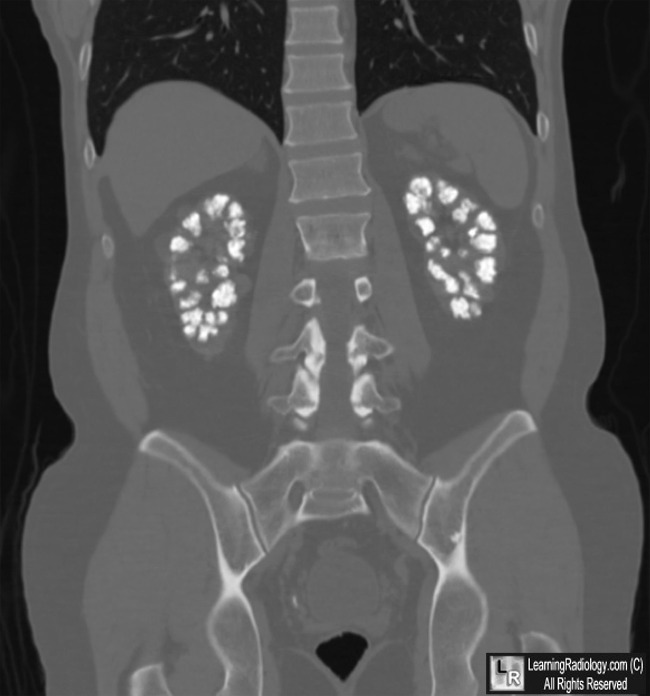 The patient had renal tubular acidosis.